5 Things You Must Do To Make Your Dreams Reality – Summer Owens S.O. What! The thing about dreams is that we all have them. Some big and some small. Sometimes they start big, get small, or even go away. Sometimes we stop dreaming completely or give up on our dreams. And dreaming. But never making our dreams come true. You know the dream of starting our own business, being our own boss. Going back to school and getting that degree. Maybe traveling the world or buying your first home. See we all have dreams, at least at some point. The difference is that we don’t all go after them. Some of us let them die or let other people kill them. Some of us spend years just talking about them and making excuses why we won’t pursue them. As a young girl watching a Different World I dreamed of going to college. Then I got pregnant, but I still dreamed. Then I dreamed of working for the Memphis Grizzlies as marketing manager. Then I dreamed of being promoted when we built the new arena. Then I dreamed of buying a house. Buying the car I really wanted and paying it off in six months. Doing that again and paying it off that car in three months. I dreamed of writing a book. Starting my own business. Then a nonprofit. Quitting my corporate job. Buying another house. And many other dreams. Have I made every dream I have ever had reality? No. But not because I didn’t try. I always try, and most of the time I succeed- because I believe I can. For years I worked in marketing for some amazing companies. That was part of my dream at one time. Now my dream is to help anyone I can, achieve their dreams regardless of the challenges they have in their lives. So if you have a dream that you want to make reality, please read on. If you have a friend who has shared a dream with you for years but never moved on, please share this. I believe that if you can dream it, then you can have it. Know yourself. How do you get to know yourself? Take personality assessments like Meyers Briggs, 16 personalities. The best way for me was spending significant time alone. Discover what you like and don’t. Figure out what you’re good it. Read. Explore. Travel. Be yourself. Stop trying to impress other people. I feel like the harder I tried to impress people, the more I just got criticized (ie. hated on). I didn’t draw people towards me. Instead I pushed them away. Be professional and adapt to environments, but real recognizes real. And real recognizes fake. Do what is genuinely you. Some people will still dislike you (that happens no matter what), but the people who matter will appreciate you. Improve yourself. Look for opportunities to be better. Take classes, read, go places. This is in line with getting to know yourself. Work out. Eat better. Do better. Be better. Stop blaming other people. It could possibly be someone else’s fault. Maybe someone else kept you from finishing or going back. Maybe someone else kept you from starting that business. But it’s YOUR fault if you still don’t go after your dream anyway. Stop waiting for other people. Your dream is yours for a reason- because YOU are supposed to pursue it. I once waited on my friends to get involved in the organizations I wanted to join, but it wasn’t their path. I considered waiting until I got a husband to try to buy a house…craziness. I even considered waiting on my son to figure out his journey, but every instance I snapped out of that thinking. I always considered others, but I did not put my goals on dreams on hold for others. Why? Because I couldn’t control them or their timelines, and my dreams deserved to be pursued and not put on hold. Stop looking for validation and support. Again, your dreams were given to you. Not everyone will believe in you, understand you, or even care for you. They may not get you or your dreams, and quite honestly, even people you love may not really want to see you succeed. When you pursue your dreams, some friends and family may leave you and will definitely disappoint you. Something else will happen- strangers will become friends. You’ll begin to align with other dreamers, and your support system will come. It just may not look like you expected. Face the facts. What is the reality of your situation as it relates to your dream? Are you a single mother with a limited support system who wants to go to college? Do you want to start a business but don’t know what kind or even know the first thing about business. Maybe you want to buy your first house but don’t have a dime in savings. Think about your dream and write down all the facts that pertain to your dream. The most relevant facts will usually be around your time, your knowledge, your money, and your relationships. Relationships could mean your spouse and/or children as well as other family and the support you’ll get from them and the impact it will have on them. And relationships also mean your network. Who do you know that knows more than you do and can help you or connect you to someone to help you with this dream? Take a step. Now that the facts are written down. Look at each one and do something to deal with that fact. For example, you’re a single mother with no family in town or friends to babysit but you want to go back to school. Some people will think that means school is out. Not me. Assuming you’ve looked into schools and programs (if not, start there) then research campus daycare options. My babysitters appeared once I was in school. Don’t have a car? Look into bus routes and schedules. What are options for purchasing or leasing one? So you want to start a business? Start doing research. There’s tons of information online and there are lots of resources offline. The SBA, SCORE and other offices are designed to help you. Offer to help, volunteer at a business or nonprofit, ask lots of questions. Plus most entrepreneurs will share what they know. I used the free resources and invested in a coach who gave me valuable insight, information, and connections (now I am a coach and love it)! Whatever your situation, stop saying you want to do it and start actually doing something. Take a step, big or small. So what dreams are you sleeping on? 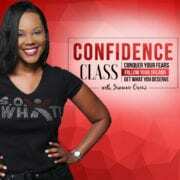 A couple of years ago, I created the Confidence Class which has helped a lot of people confidently pursue their dreams- big and small. I’ll soon be creating a new version of the class (that will be a true investment in yourself), and I wanted to offer this version of the online class at the clearance price of $99 before it is updated. 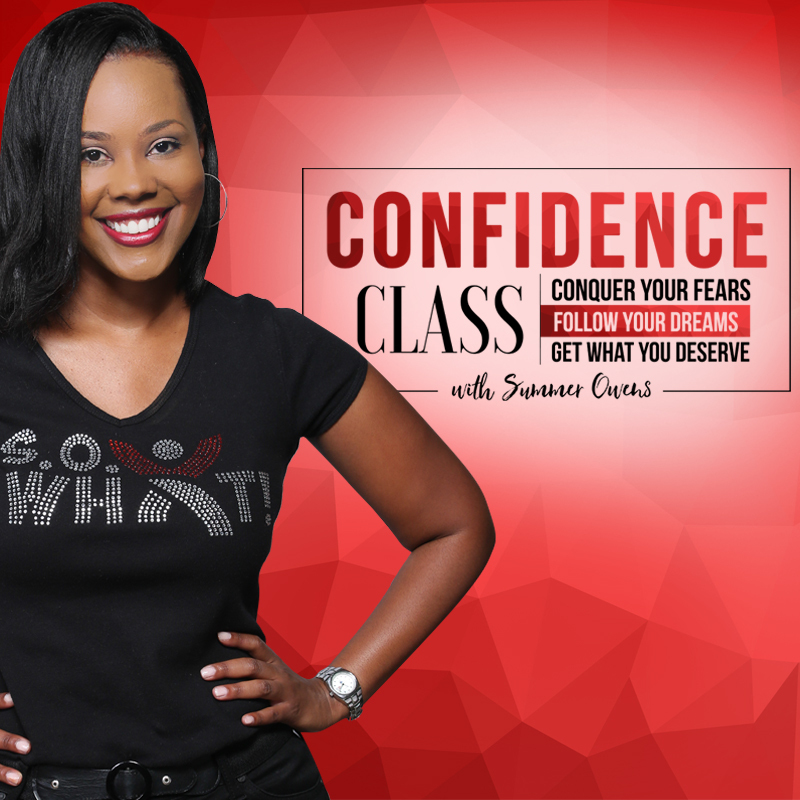 If you are someone who has dreams and aspirations but fear or doubt is holding you back, this class is for you. If you are someone who doesn’t feel confident in how you look or doesn’t feel comfortable networking or putting yourself out there for opportunities, this class is for you. If you are ready (or want help getting ready), let’s wake up and stop dreaming and start working! Stop dreaming and start making your dreams come true. It's time to Conquer Your Fears, Follow Your Dreams, and Get What You Deserve!